The origin of Kong and the founding of Skull Island—where it all began—comes to it’s bigger than life conclusion. There are some who would see the Kong as monsters. Beasts waiting to unleash the anger they have within. When a coup is formed to take Ewata from power and show the Tagu and Atu people the power of the Kong, the island is thrown into chaos. Skull Island will never be the same. 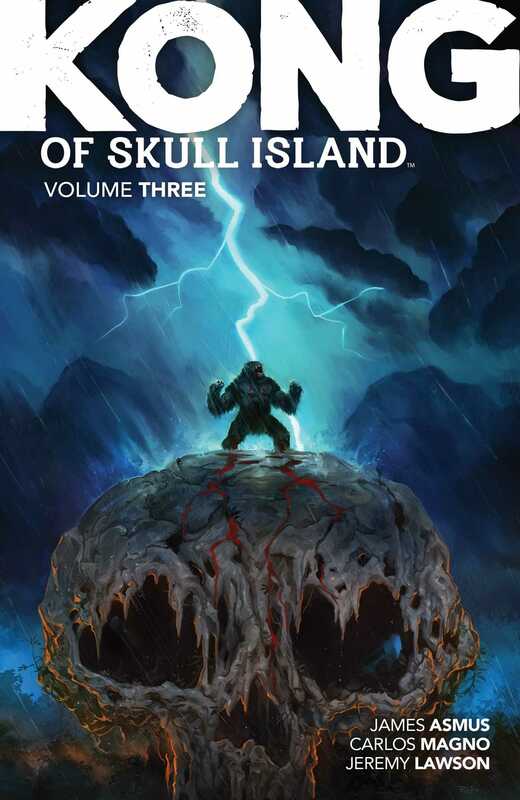 From James Asmus (All-New Inhumans) and Carlos Magno (Planet of the Apes) comes the authorized origin of Kong and the conclusion of Kong of Skull Island.